This review was originally posted on Rice Digital on December 31st 2018. I have a soft spot for JRPGs, especially when they are trying to do something different with the genre. 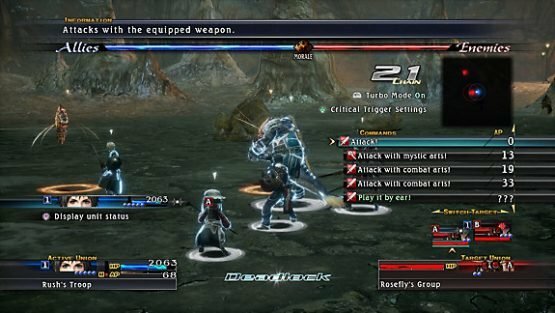 So, when I saw the large-scale battles and heavy fantasy anime aesthetic in The Last Remnant: Remastered, I was intrigued about how these would work and even more intrigued that I had no idea this game existed until the remaster was announced. 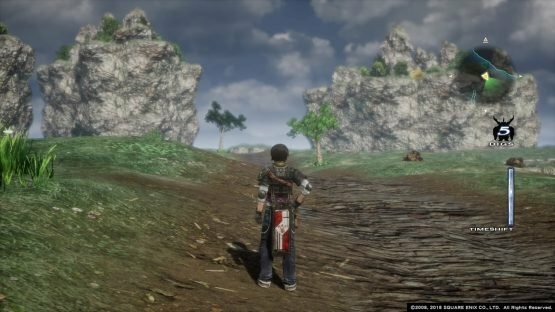 The Last Remnant: Remastered follows Rush Sykes, an arrogant, headstrong borderline idiot with no respect for authority, as he searches for his kidnapped sister, Irina. Through a rapidly increasing set of ridiculous circumstances involving blundering his way into a large scale military battle, Rush comes into contact with the Marquis of Athlum, David and his generals, who offer to help with the location of his lost sibling. As Rush, the player runs around the various locales engaging enemies (which you can see on the field), talking to NPCs for information and sub-quests, and doing business with the different shopkeepers in the cities and towns. A large amount of exploration is simply done by choosing locations on the world map, but once selected all of the locations are fully realised 3D playgrounds to run around. The core focus of the gameplay, and its most unique feature, is the large-scale battles that form the combat. These play out in a turn-based fashion; but instead of individual characters battling in oddly disconcerting lines like more classic JRPGs, they run like small skirmishes with allies and adversaries constantly moving around the battlefield while engaging, intercepting, and supporting each other. Rather than having individual units at your command, you have Unions made up of several characters, and can give each group an often vague instruction as to behave for the next turn. These orders can be anything from allowing the AI to act exactly as they wish (not recommended), support other unions under attack, attack whilst healing, and plenty of other things as well. These actions can be interrupted by the course of action too, so need to be carefully considered each turn. The unions themselves involve bringing together a set of fighters that then share a single life pool as well as AP. You can decide the composition of these unions as well as the formation of each one, so the player is given a rather large amount of agency in how their party plays out in the long term, especially with a large amount of different characters and hireable hands available each with their own stats and abilities. In battle, the player needs to take the various states into account, as these will dictate the efficacy of your unions. Deadlock is the most basic of these, meaning that one of more of your unions are locked in battle with one or more adversarial groups. Flank Attack is when a union already in Deadlock is attacked by another union from the side, increasing the power of their attacks, advantageous if you nail it, but can prove to be your downfall if you fall victim to it. There are other states, but these will likely be the two you see the most. This isn’t all, however, with the player also needing to consider the AP (action points) of their unions to allow for changing up approaches on the fly, as well as keeping an eye on the Morale Bar at the top of the screen to ensure that your attacks remain effective whilst stymieing that of your opponents. This bar will constantly move throughout battle as actions are taken, so try to keep that bar to your advantage, if you can. The HP bars displayed on the screen for your unions are deceptive, being the combined totals of everyone in the union. Therefore, any damage any character in that union takes will affect the whole, with all characters falling if the bar reaches zero. To this end, you always need to be thinking a few turns ahead to be effective with making sure you remain in the battle. One huge plus in the gameplay though it that all of your unions are fully healed after battles, so even if you barely survive an encounter, you’re ready for the next. All of this combines to create some painstakingly strategic battles that take some time to get used to, but which are immensely satisfying once you understand what the game wants you to do. It can feel a little out of the players control occasionally, with the enemy AI consistently nailing Flank Attacks for whatever reason, but there are a lot of options the game gives you to succeed (if you actually pay attention) so it rarely feels unfair. 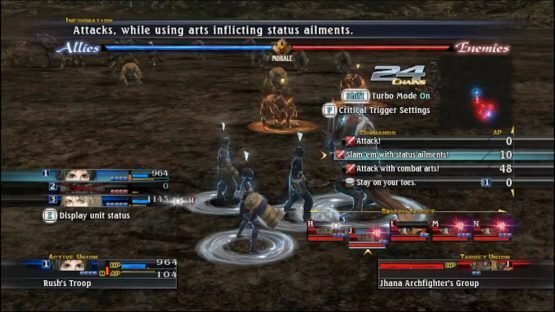 Aside from the occasional moment of uncanny valley in the faces, The Last Remnant has held up reasonably well. The character designs are all interesting, with some wonderfully camp voice acting performances thrown in, the monster designs are varied making hunting missions all the easier, and the settings and locales (especially the more open ones) stunning and detailed. In fact, at times, it seems that the HD remaster is to the detriment as the visuals being a little less clear would have actually looked better. 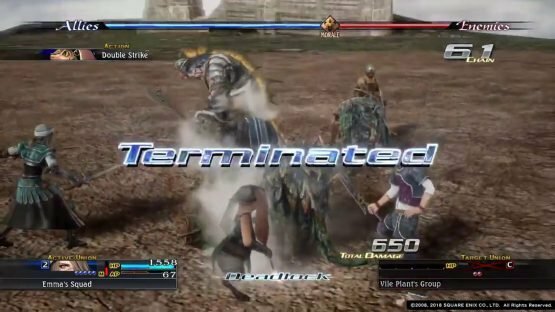 Rounding off the aesthetic, the music in The Last Remnant is fantastic, with the one of the battle music themes especially being on repeat for me whilst writing this review (it’s called “Flamedrop” if you wanted to listen). This stellar soundtrack, combined with the aforementioned voice acting and sharp audio feedback from the sound effects really makes this game feel a lot more contemporary than ten years old. Ultimately, this title is a slow burner. It takes some time to get going, and even longer to be understood, but is deeply gratifying when it gets its claws into you. The ludicrous fantasy plot, practically farcical characters, and highly strategic action make for an incredible, unique experience that deserves to be played. There was clearly an audience for a remaster of this title, and speaking as a convert to the title myself, I couldn’t be more glad that Square-Enix brought this title back. Previous Previous post: RTG | Top 10 Games Of 2018!